Put some gold into your 5k run and make a difference in the fight against childhood cancer. 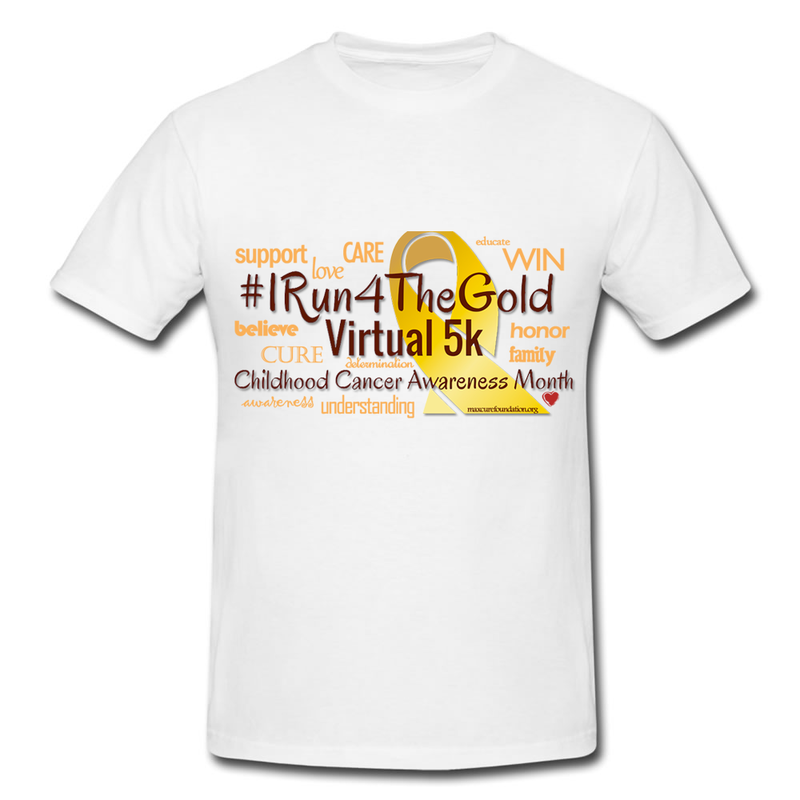 The Max Cure Foundation’s “I Run 4 the Gold” Virtual 5k can be done anytime during the year. You have the option to participate as an individual or create your own team! You can walk, jog, take a long stroll around the neighborhood, or even run on your treadmill any time during the month to raise awareness for childhood cancer all while supporting The Max Cure Foundation’s mission to fund research, financially support families in need, and advocate for a better future for our children. 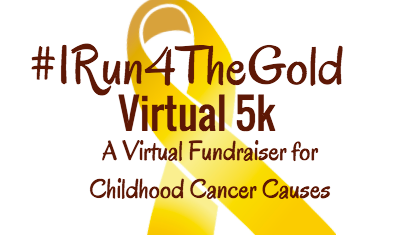 Whether you are a seasoned runner or a beginner ready to take the next step, the all new “I Run 4 the Gold” virtual event is a great way to take a stand against childhood cancer and have lots of fun! We encourage you to post a video on social media during your training and before or after your race and share with us why you are running! Remember to use the hashtag #Run4TheGold and tag Max Cure Foundation. Our goal is to share daily videos telling your stories and inspiring others to take action. All participants will receive a #IRun4TheGold race bib and medal, with the option to purchase an #IRun4TheGold t-shirt. You will also have the ability to create your own personalized fundraising page and raise money for the Foundation all month long! We are EXCITED to make a difference with YOU!